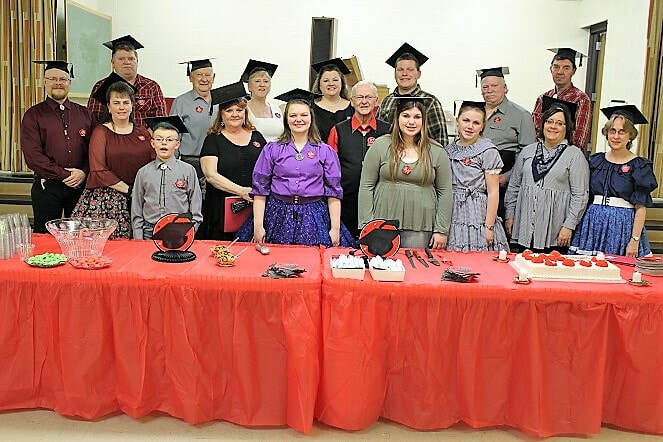 2017/2018 Graduation - The last three pictures show the student's presenting instructor Danny Beck with a nice plaque, the graduating class, and all the Angels that showed up each week to help the students learn. COCDC Honoree Dance - This year's COCDC Honorees were Mark and Nancy Meinzer. 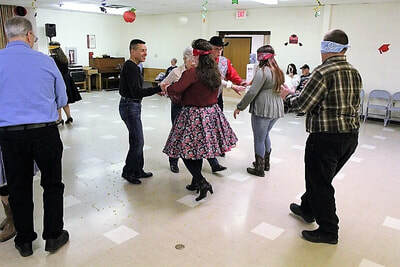 COCDC Student Dance - In March in the COCDC sponsored a special Student Dance. 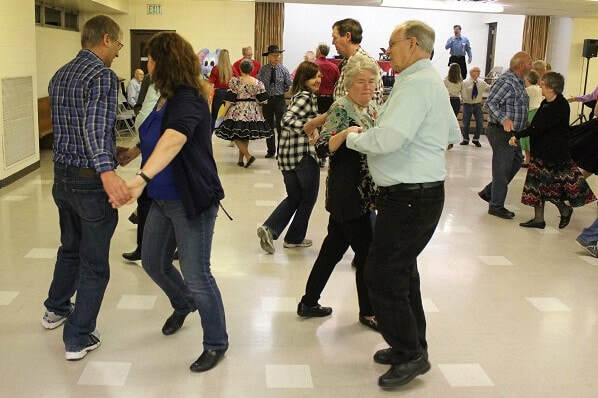 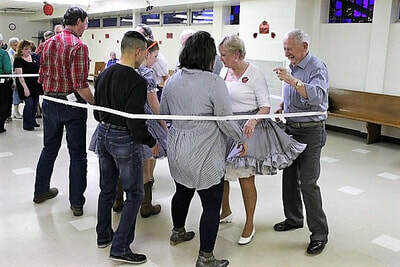 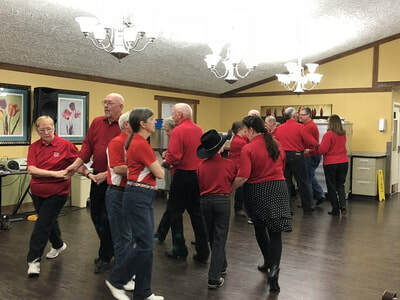 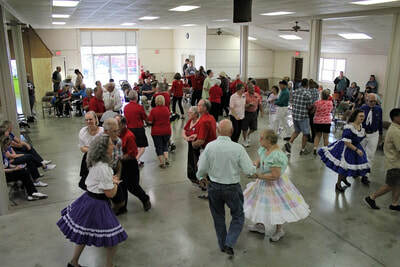 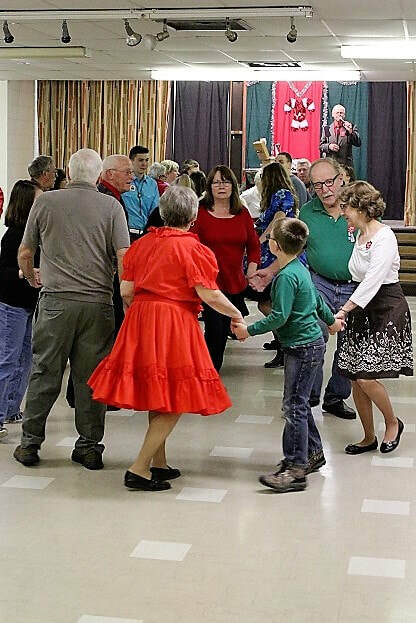 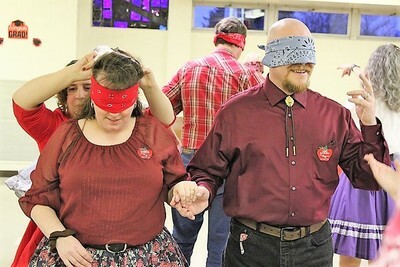 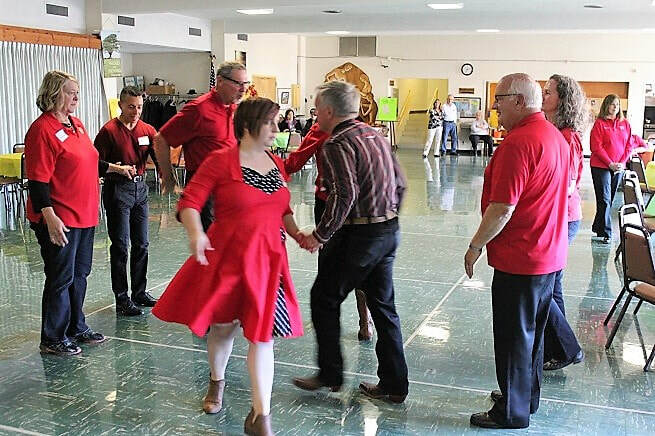 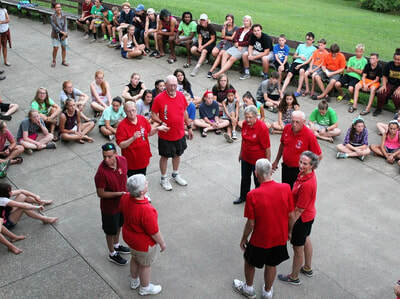 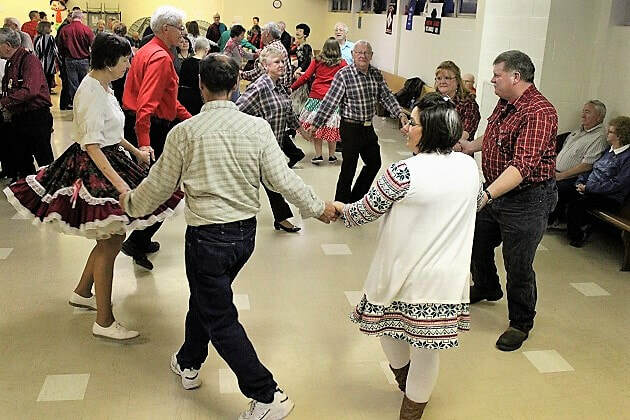 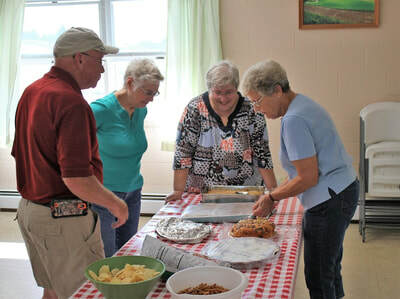 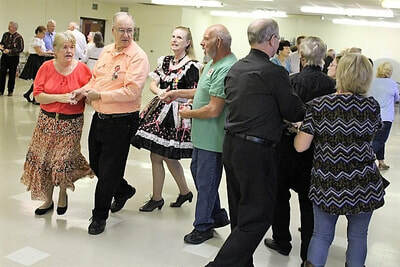 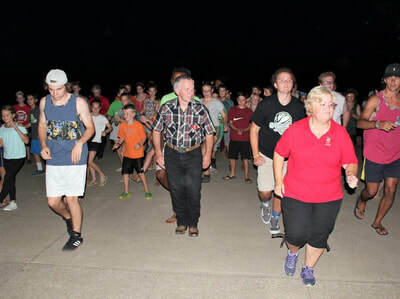 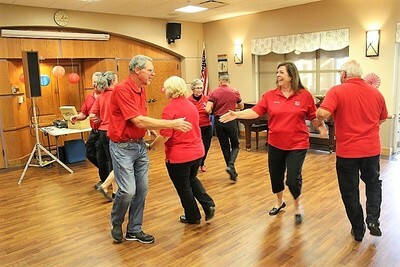 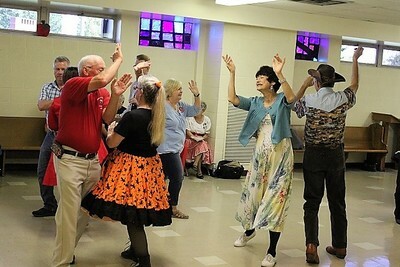 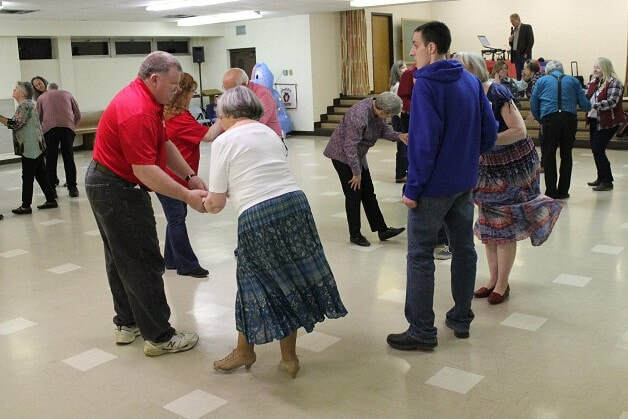 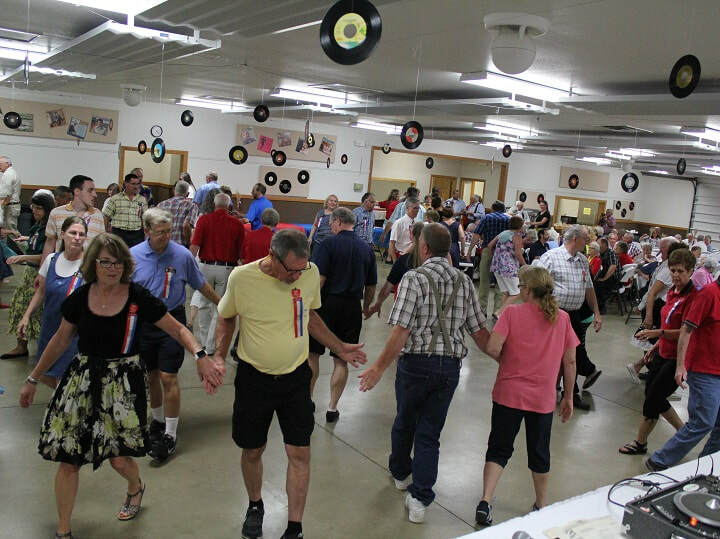 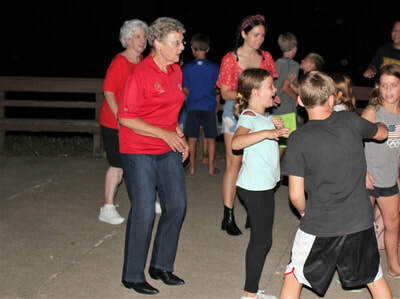 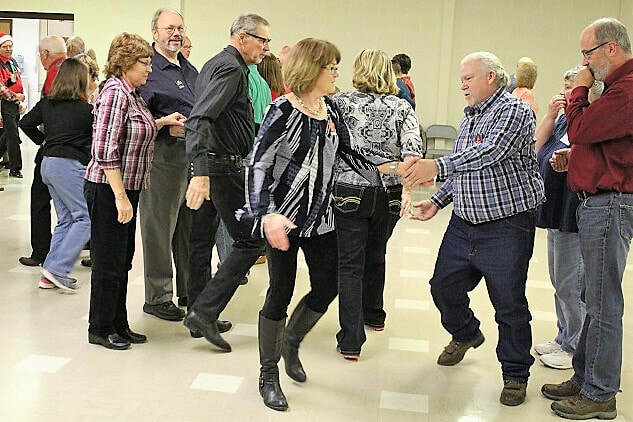 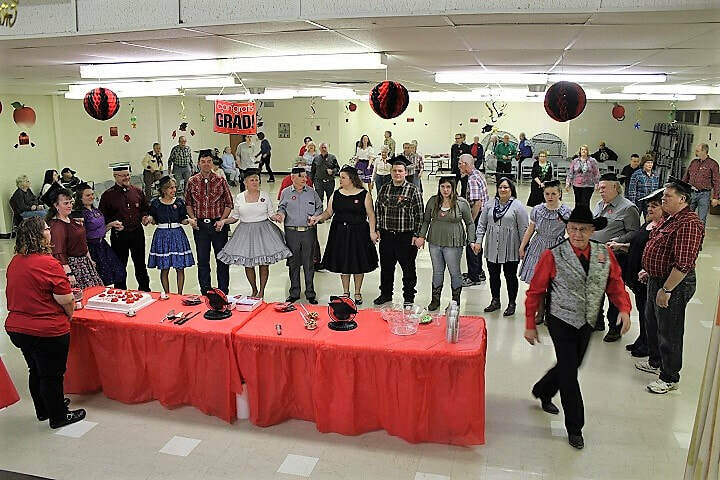 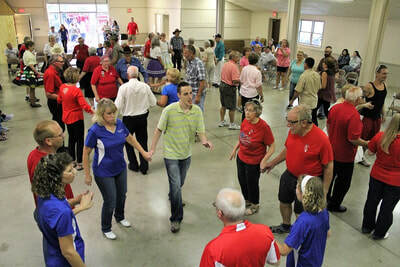 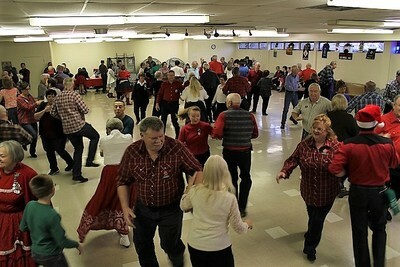 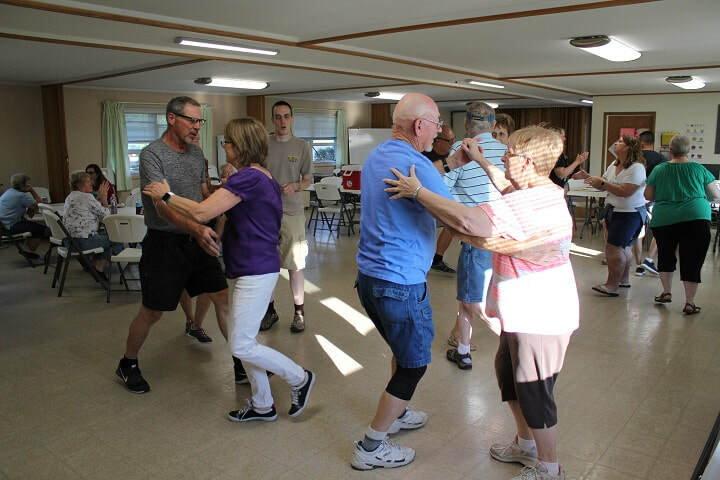 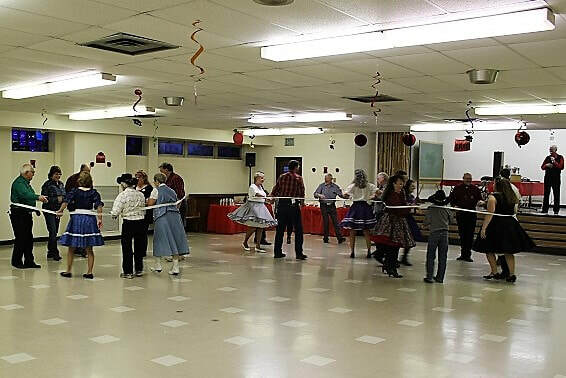 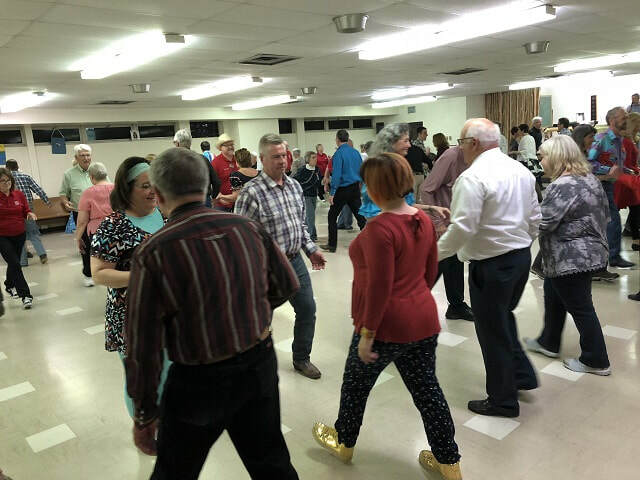 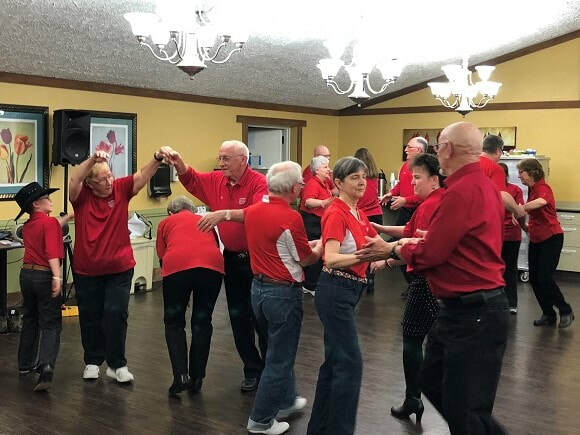 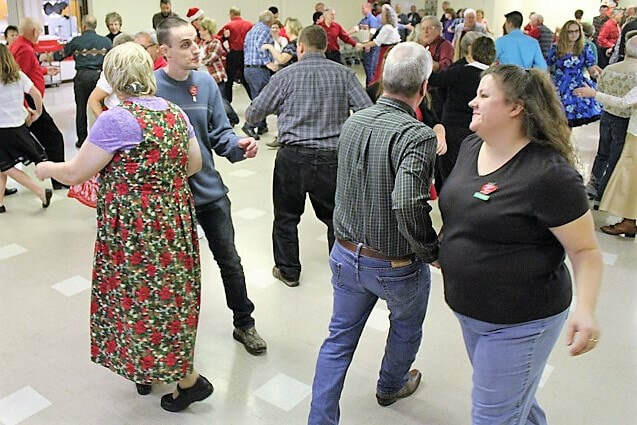 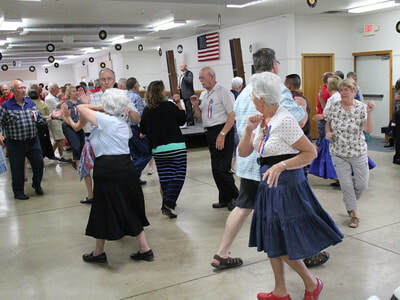 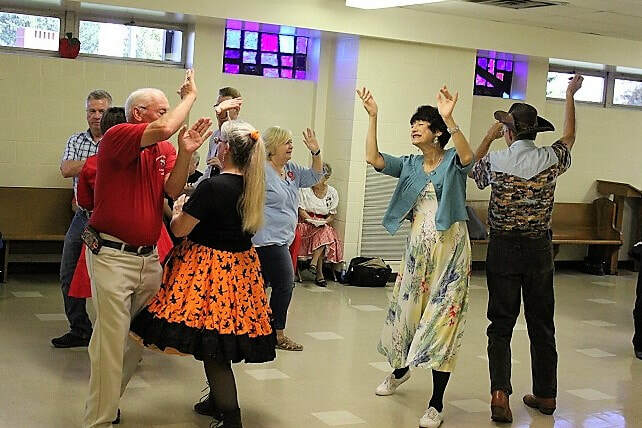 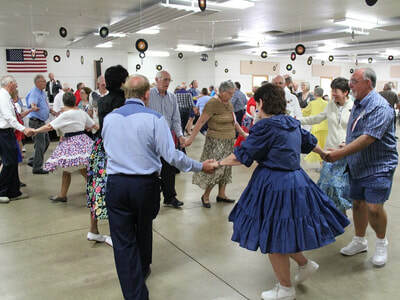 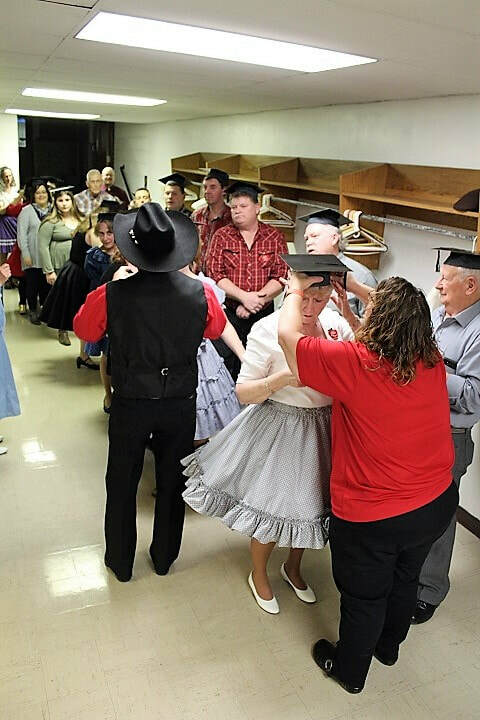 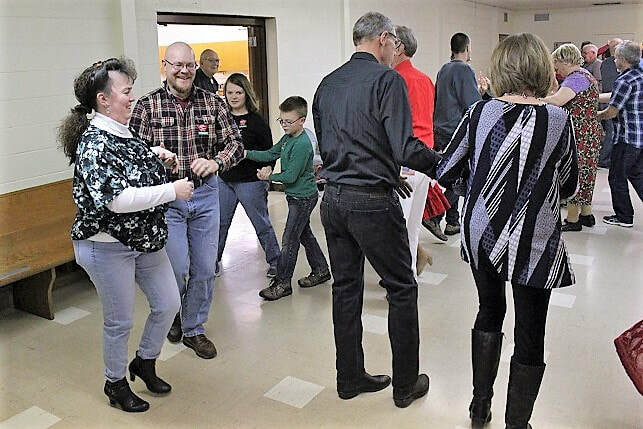 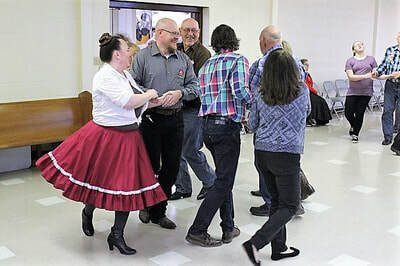 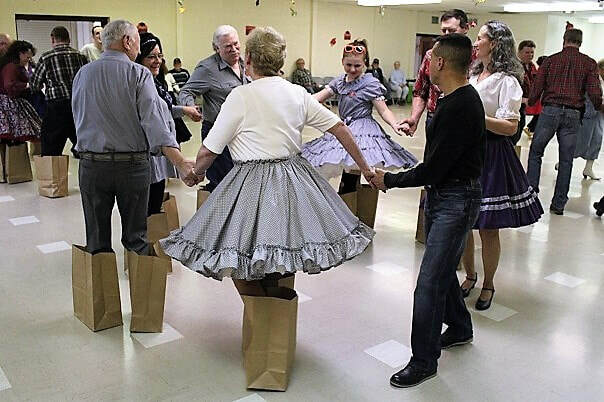 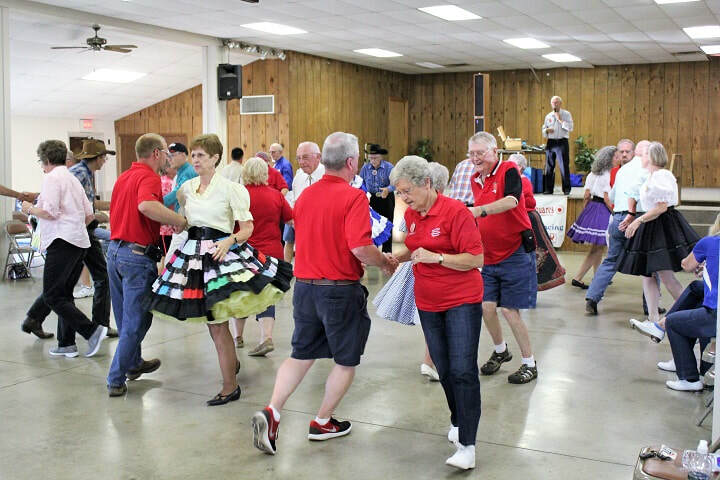 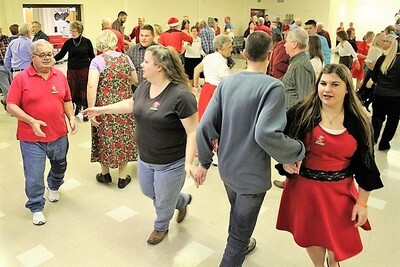 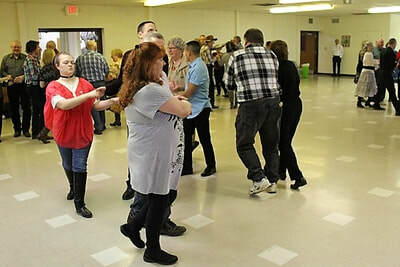 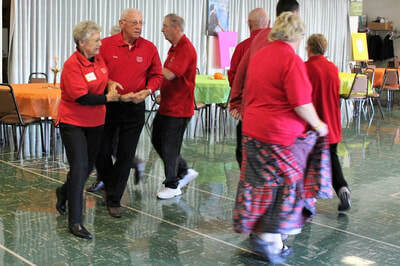 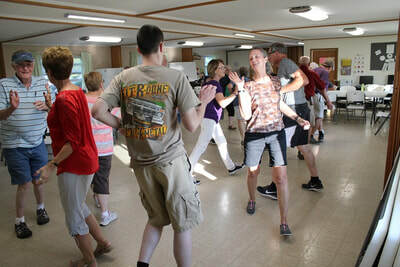 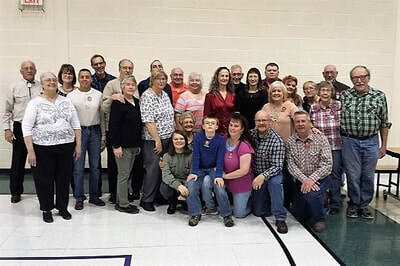 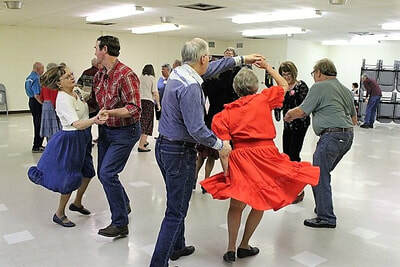 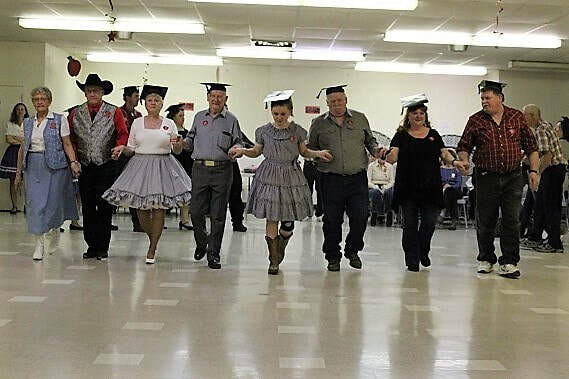 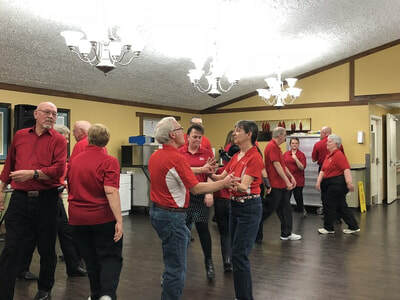 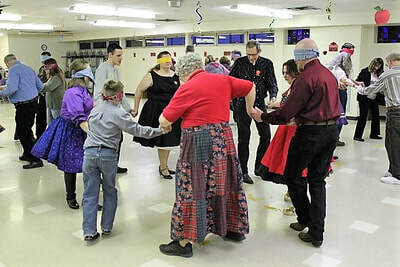 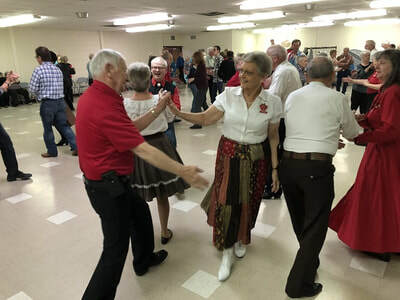 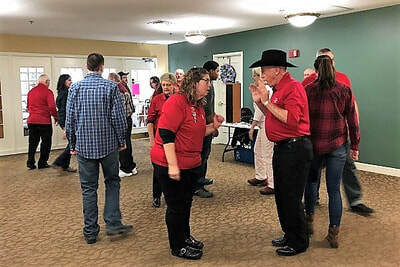 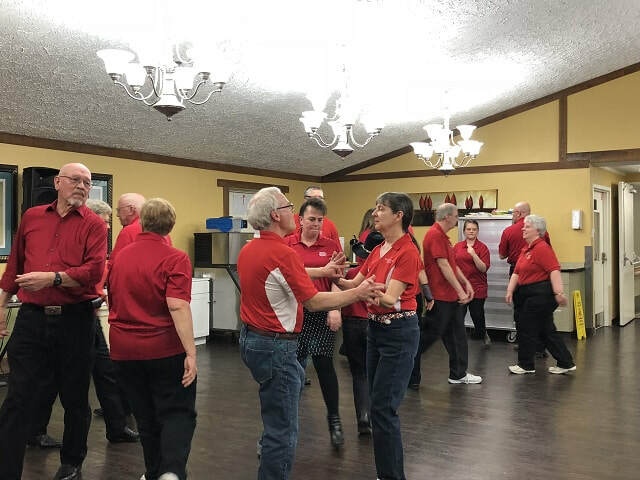 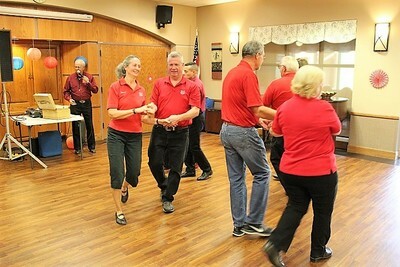 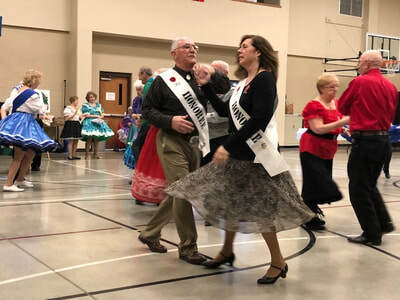 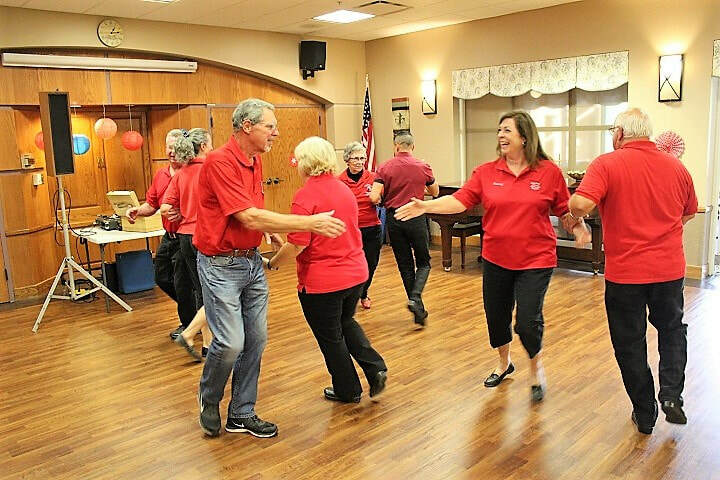 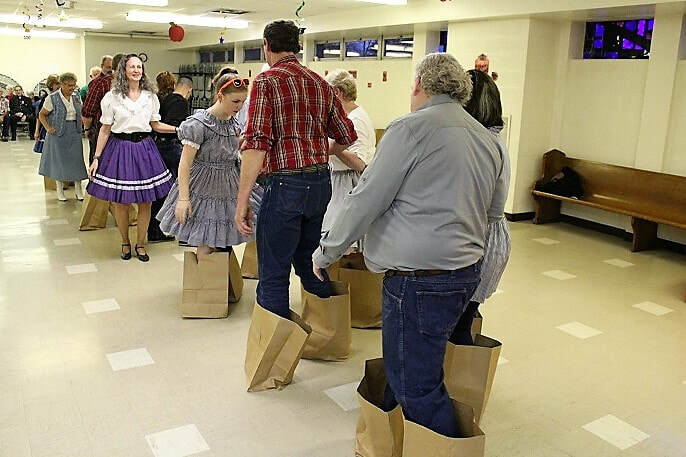 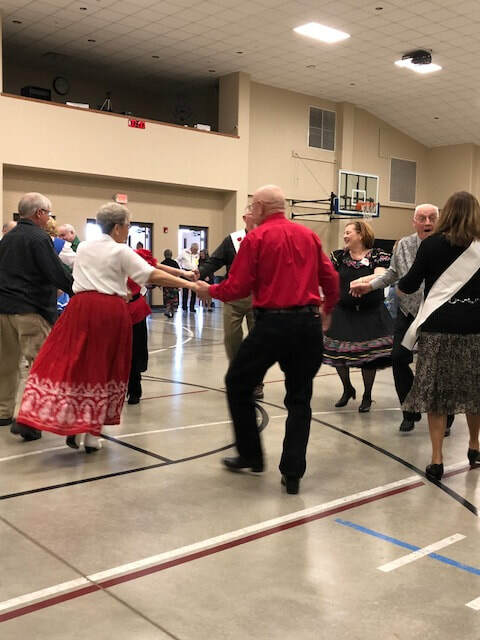 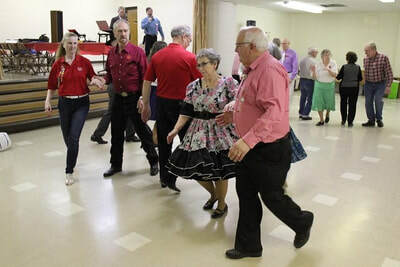 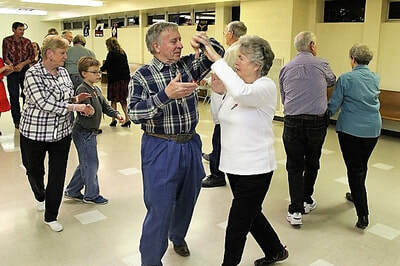 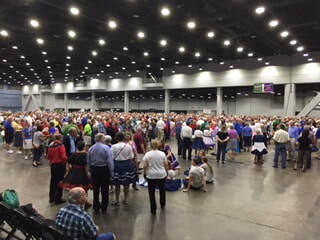 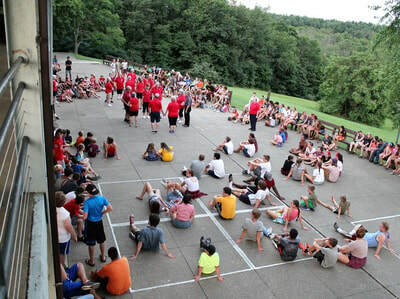 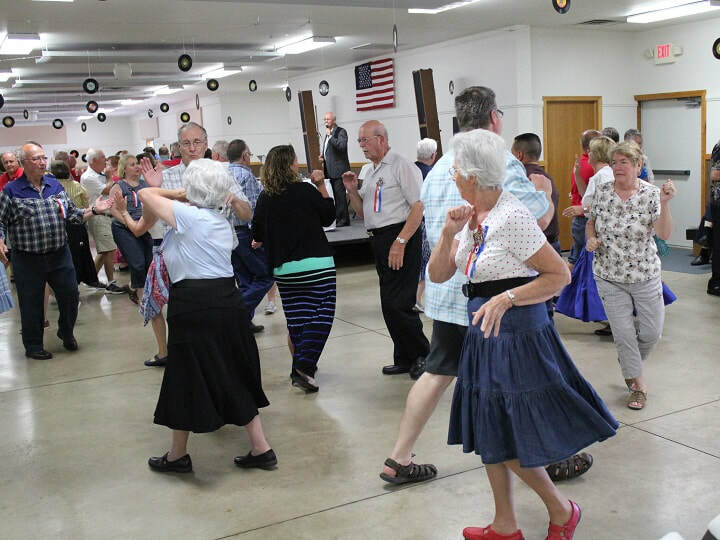 The first photo shows square dance students from various clubs attending this dance. 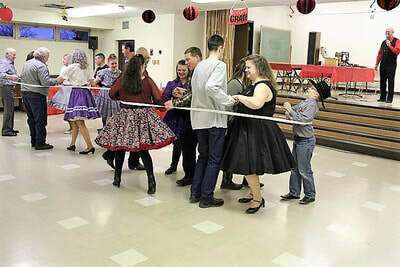 Banner Raids - In January the club did several banner raids. 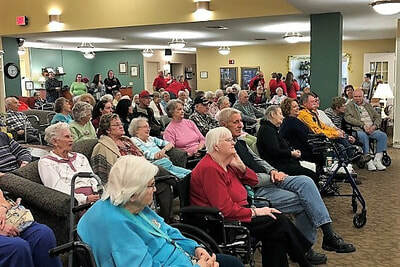 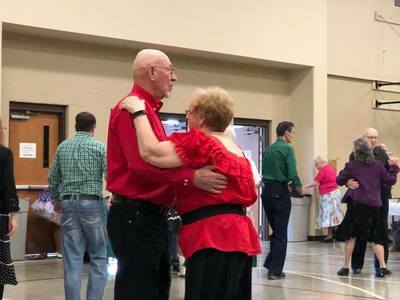 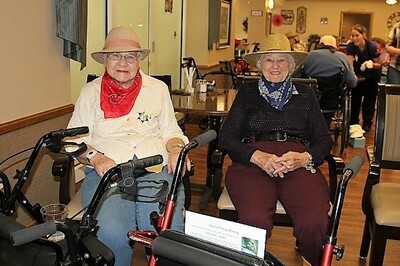 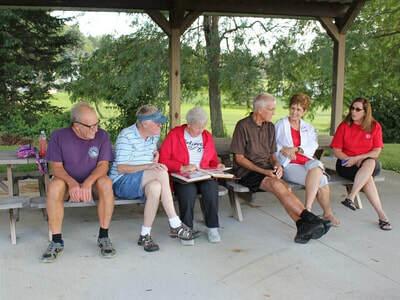 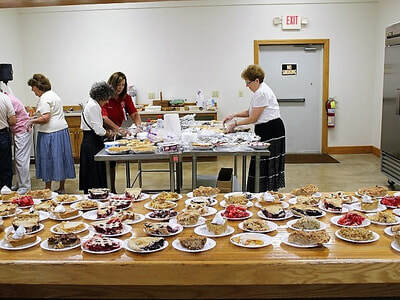 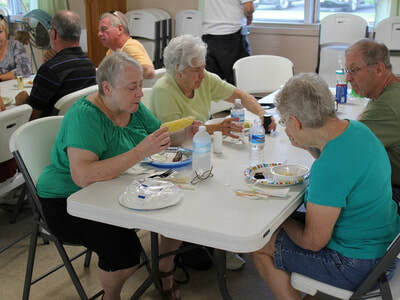 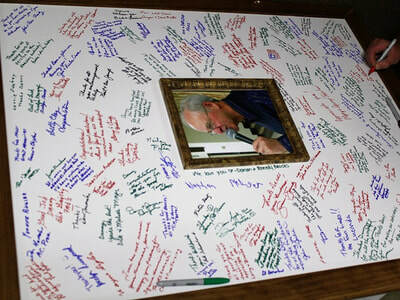 This included a dance at Apple Creek Promenaders and a dance at Hicks & Chicks. 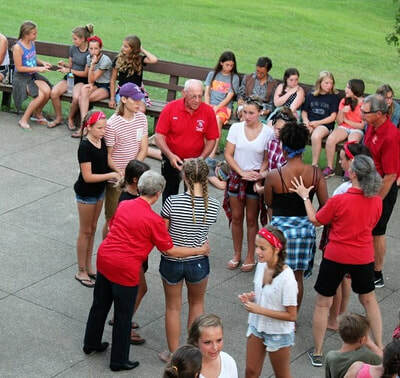 The middle photo shows our banner chairperson retrieving our banner from the Hicks & Chicks. 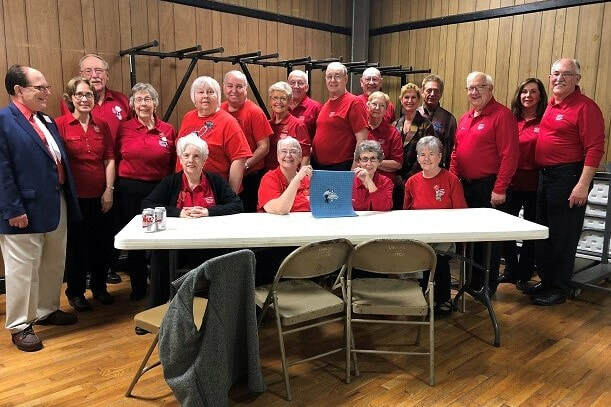 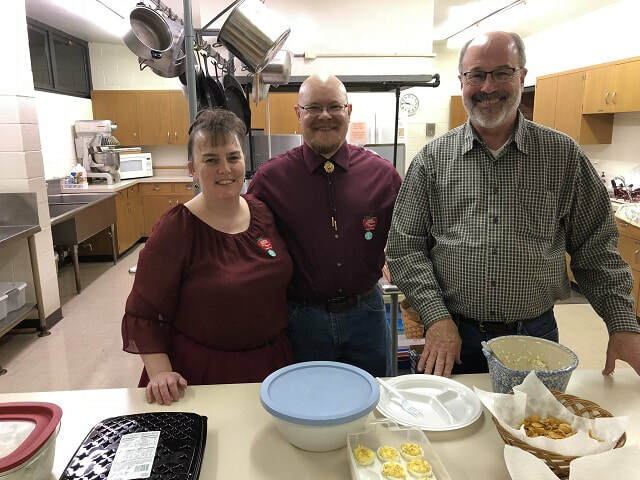 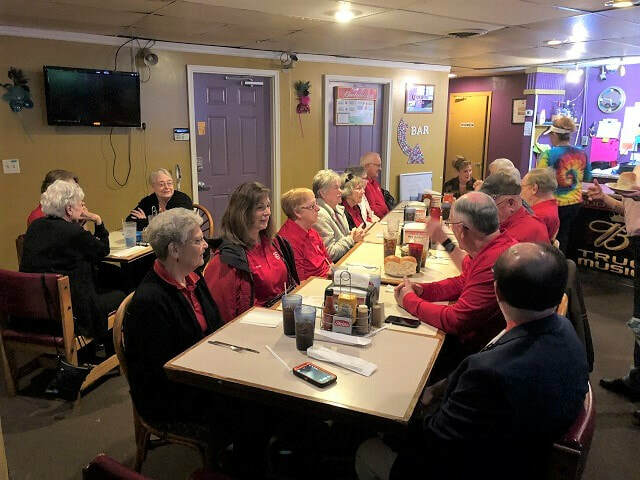 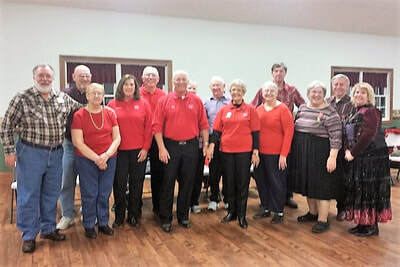 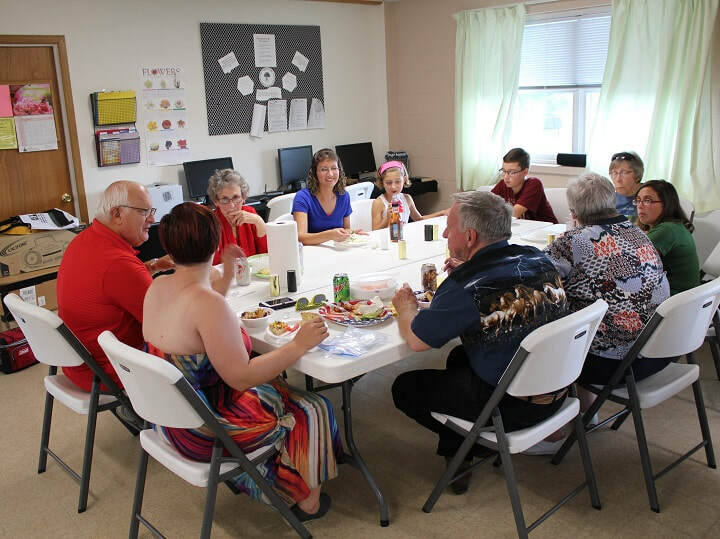 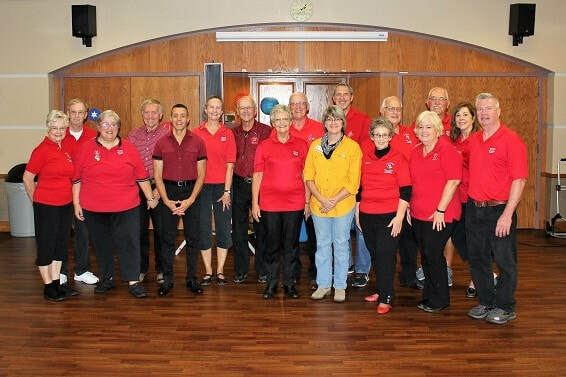 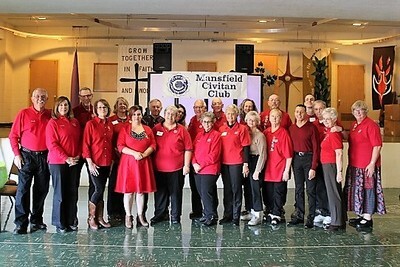 Yello Rock Expert Club - In November the Appleseed Club was nominated by the COCDC to the 2017 Yellow Rock Expert Club. This was based on our club's longevity, large classes of new students, and our club's strong travel team. 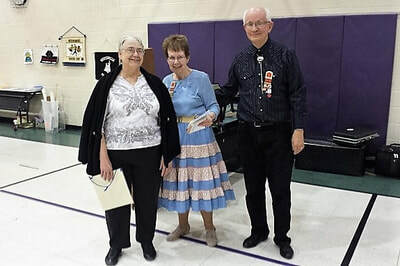 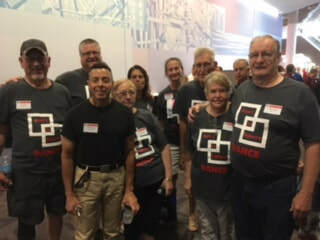 Present at the Yellow Rock Dance to receive this honor was Al Negron, Linda Warren, Mona and Mel Porter, Paula and Wayne Ward, Terri and Jeff Ross, and Linda and Jim Crose. 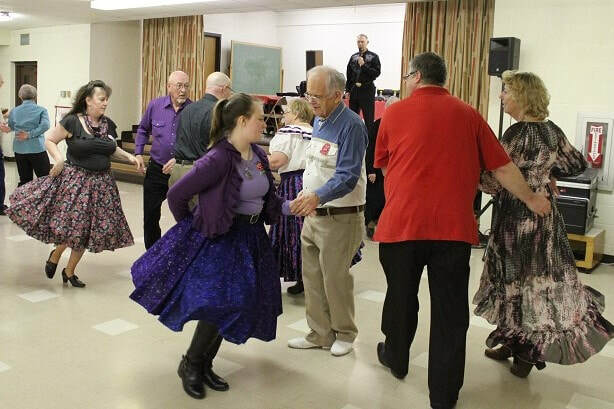 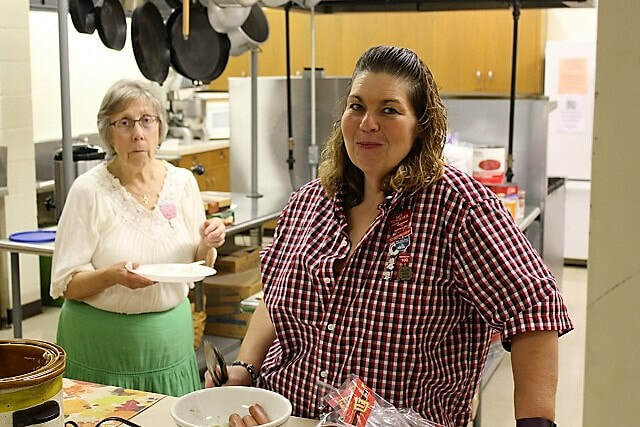 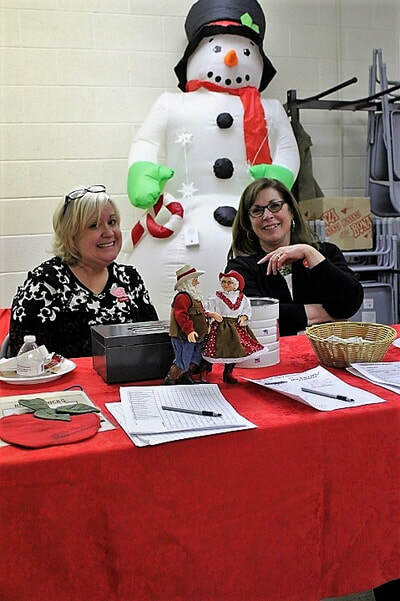 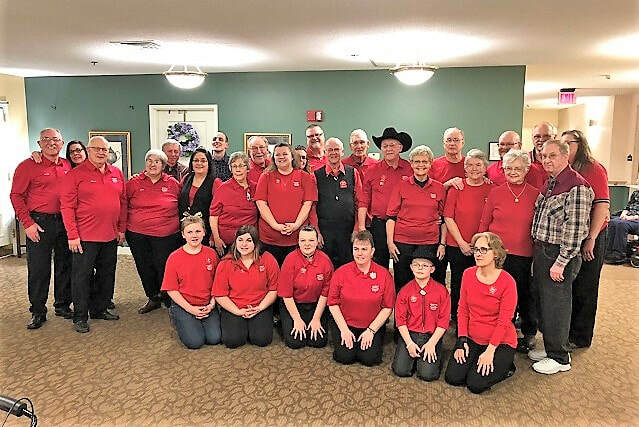 Civitan Demo - In November we were invited to dance at the Civitan dance for handicapped children. 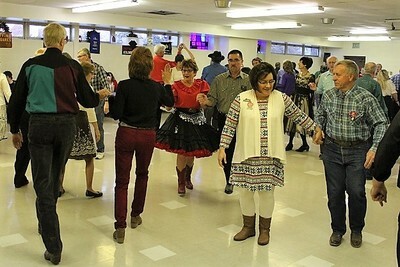 Brethren Care Demo - In October we danced at Brethren Care to the Western Theme. 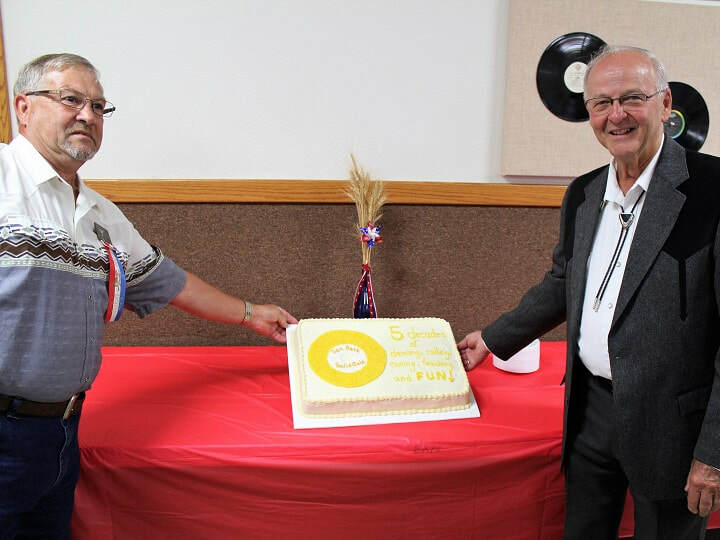 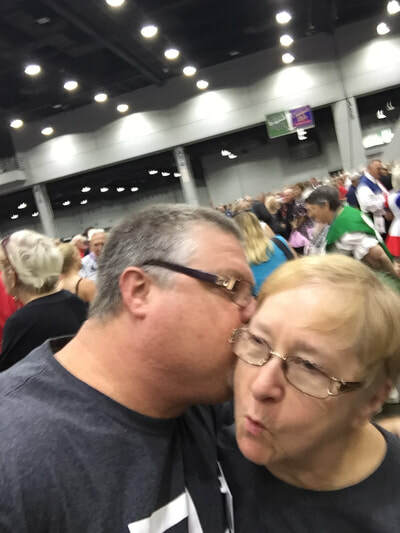 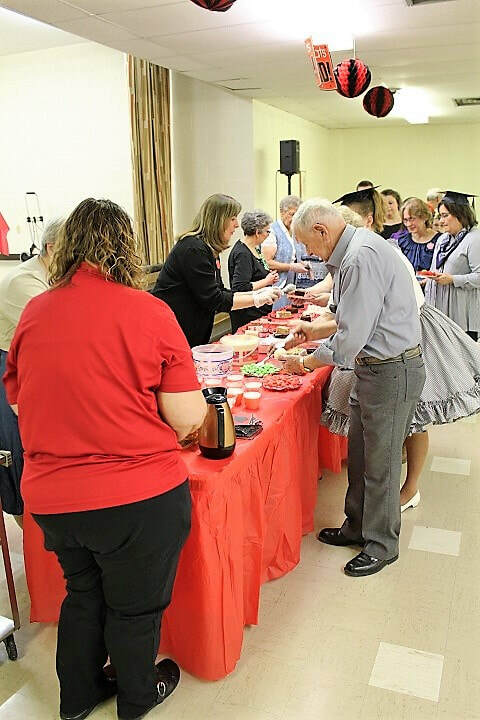 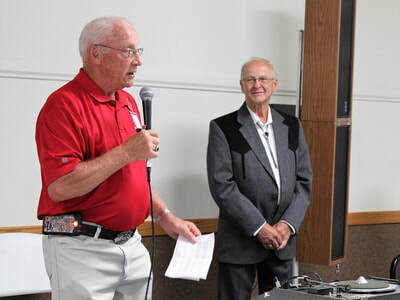 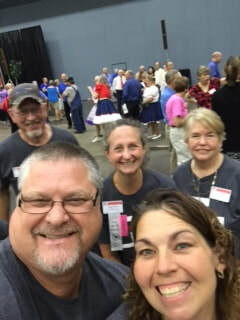 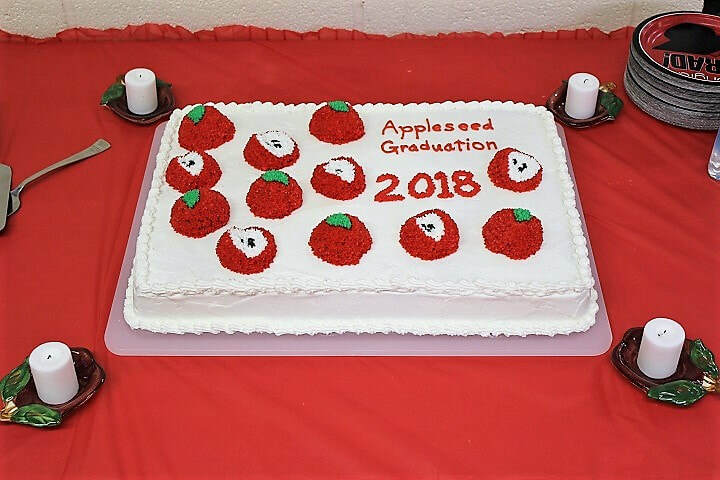 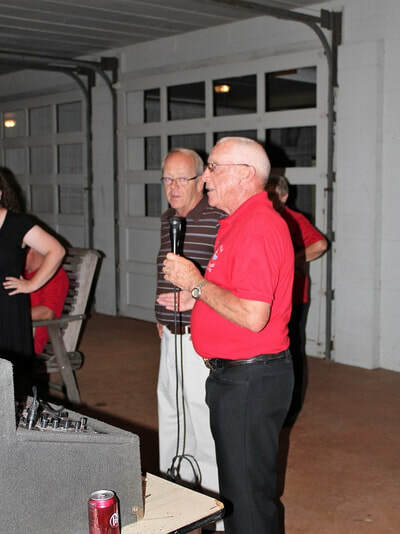 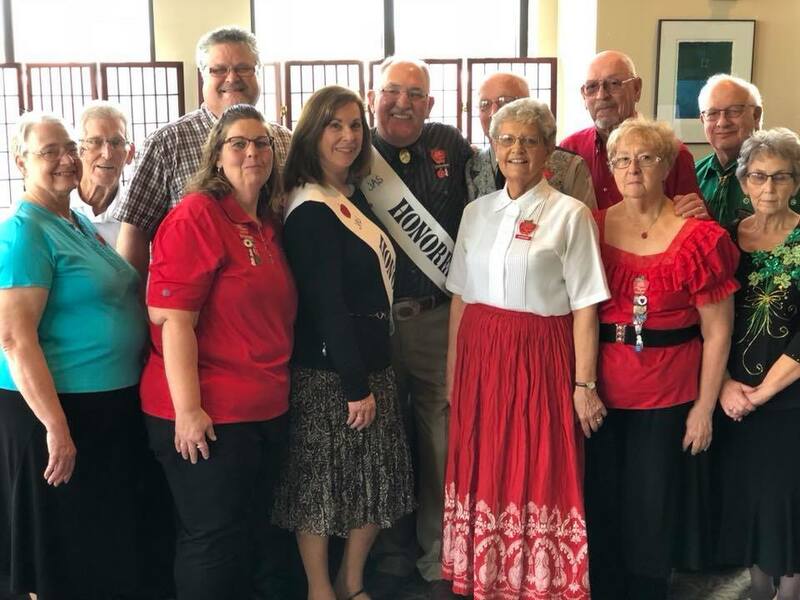 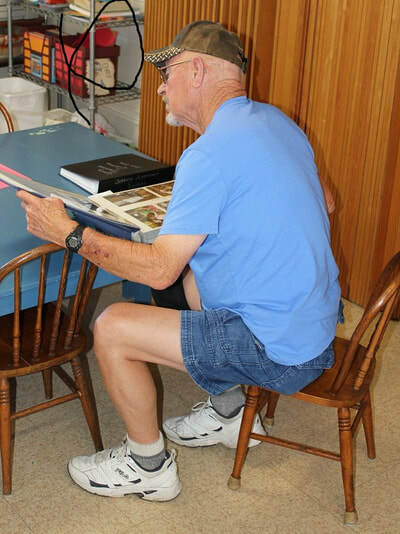 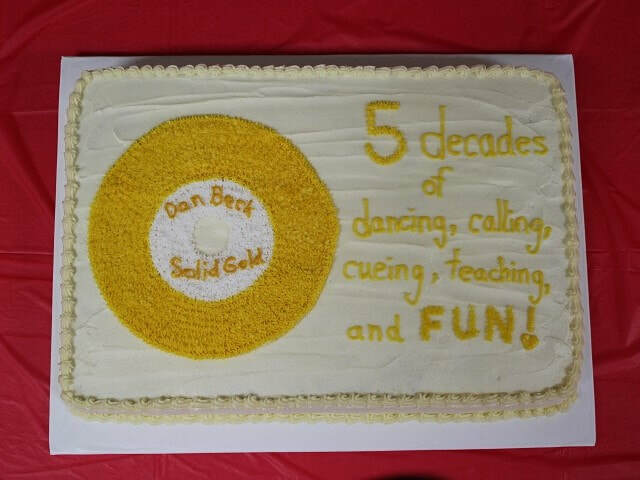 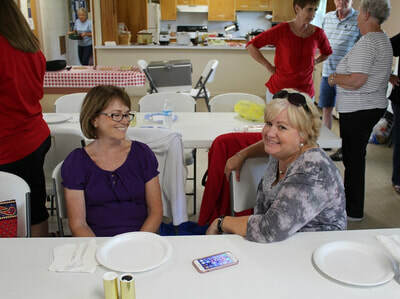 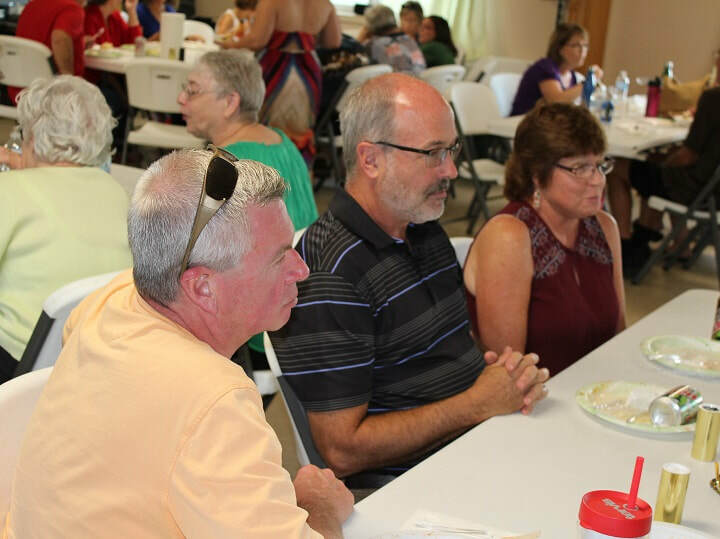 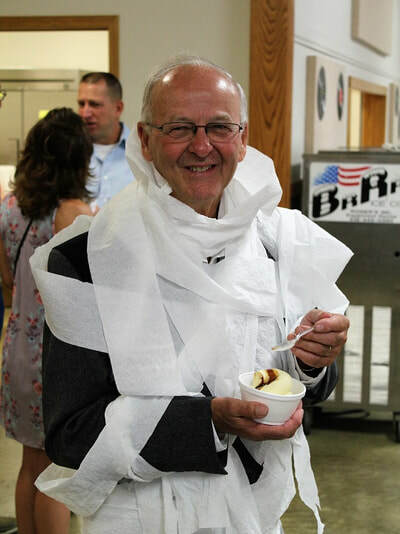 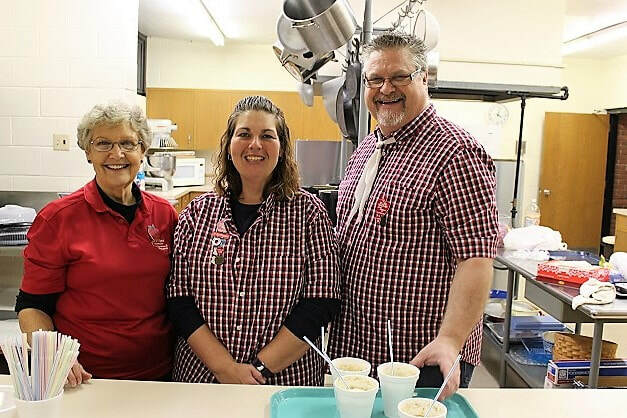 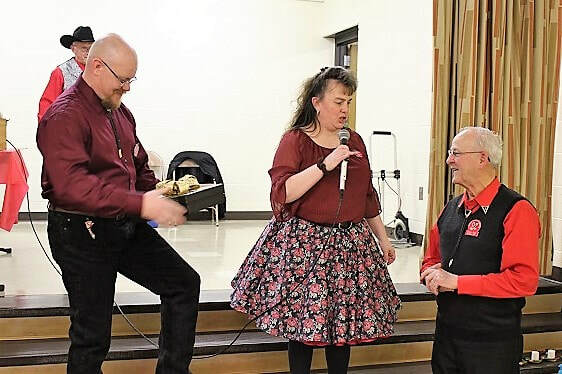 On July 16, 2017 the Appleseed Squares, Norwalk FADS, and the Tiffin T-Squares joined together to celebrate Danny Beck's five decades of fun, calling, cueing, and teaching. 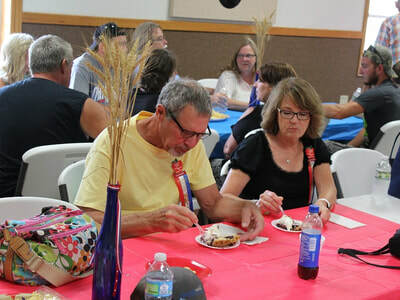 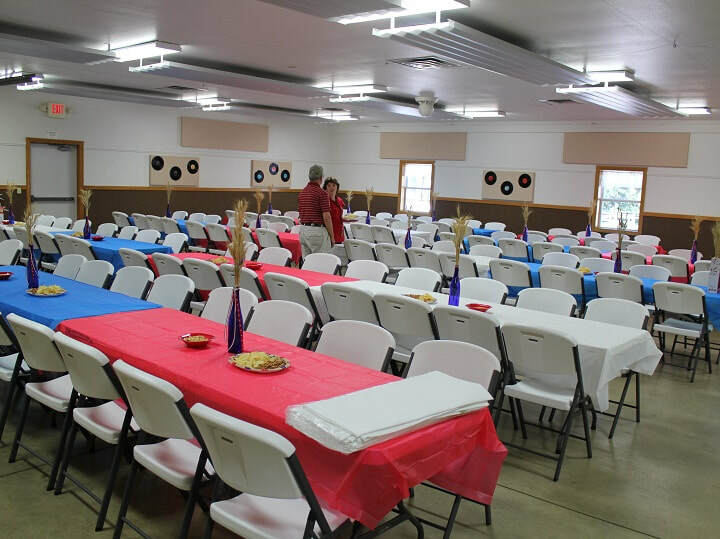 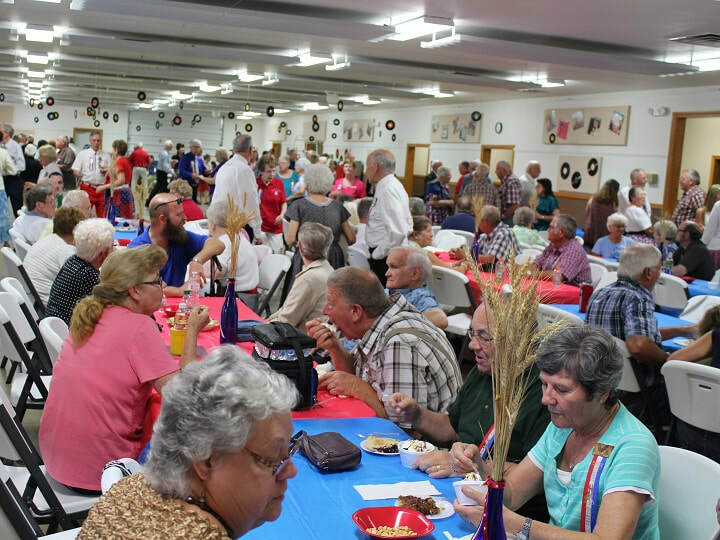 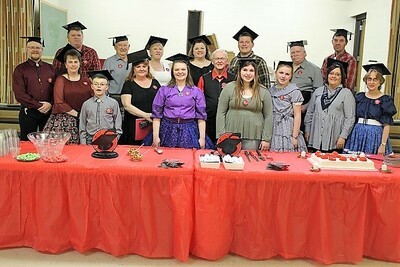 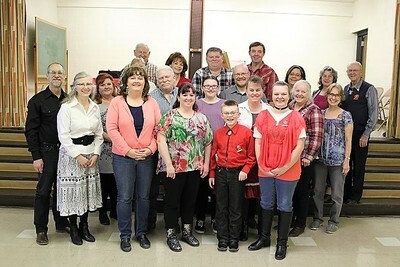 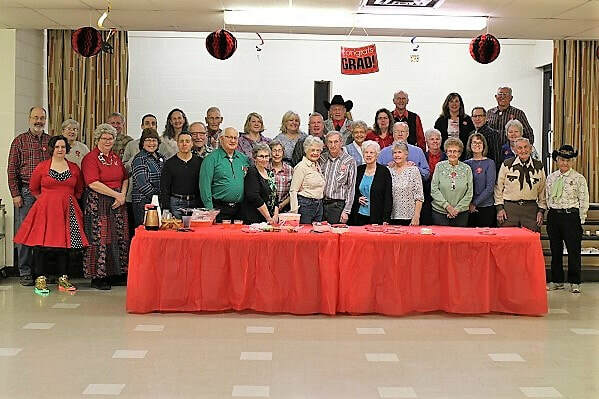 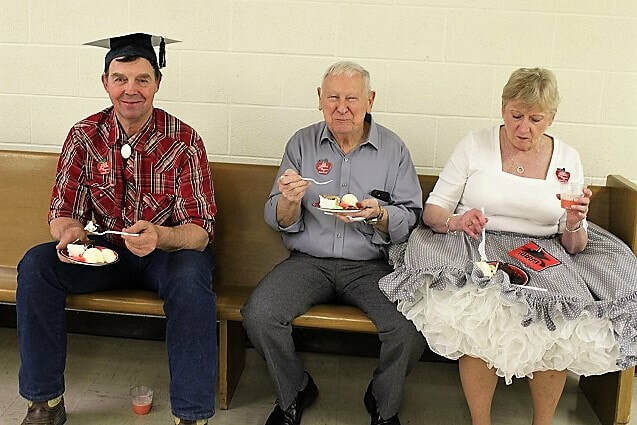 Family, friends, callers, cuers, and square dancers from all over came to join Danny in this celebration which was held at the Huron County Fairgrounds. 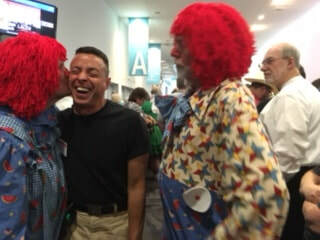 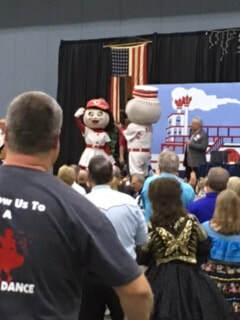 Many thanks to all who made this celebration a huge success!